Dionne. The daughter of got ouranias and goddess Gaia. Ouranoupoli. The city of the sky and gate to Agios Oros. It is not by chance that the holiday apartments Dionne are situated in this unique gifted area with a view of the Singitikos bay and the amazing beauty of the islands Drenia. The five apartments which are carefully decorated and functional can offer the visitor moments of relaxation combined with home comfort. All the apartments offer two bedrooms, kitchen, lounge with a fireplace, TV, internet, conditioning and naturally an amazing view from there large balconies. In the traditional holiday apartments Dionne your stay is not simply a need.It's a holiday experience of high quality, made up of people who know what hospitality means and with excellent facilities. The traditional bungalows Dionne are an escape from our everyday life winter or summer offering relaxation and entertainment. 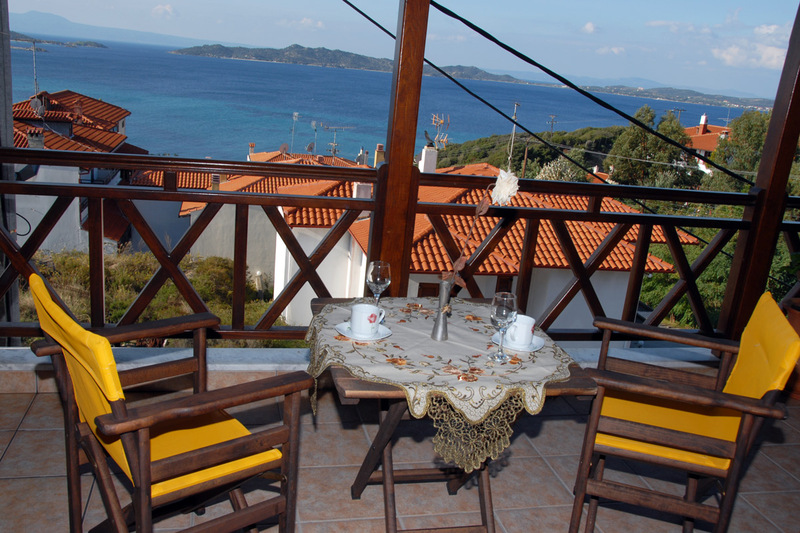 The traditional holiday apartments Dionne ets the visitor enjoy both mountain and sea in this natural and fairytale like area untouched by the hustle and bustle of the city. 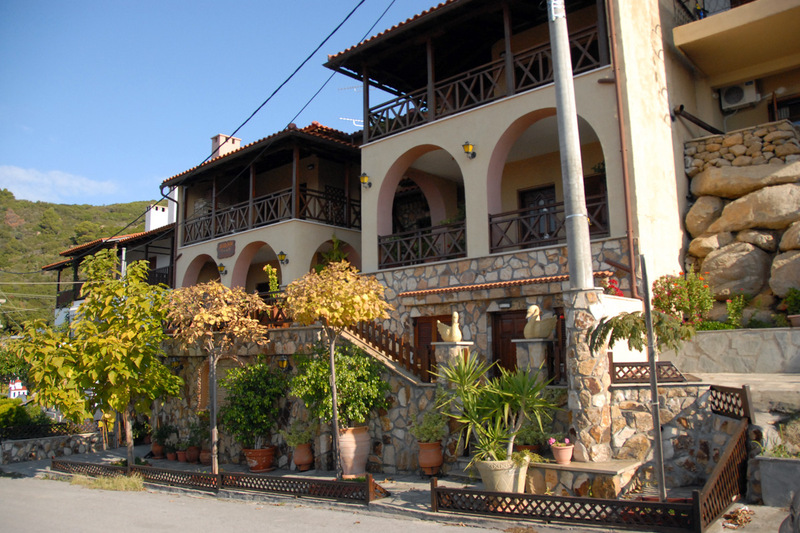 In Ouranoupoli 5 ​​years ago we decided to create "THE MANSION DIONNE" with great care and love. Having in mind something beautiful, traditional and comfortable we have created something very special, "THE DIONNE." It consists of 5 independent apartments of 80sqm. 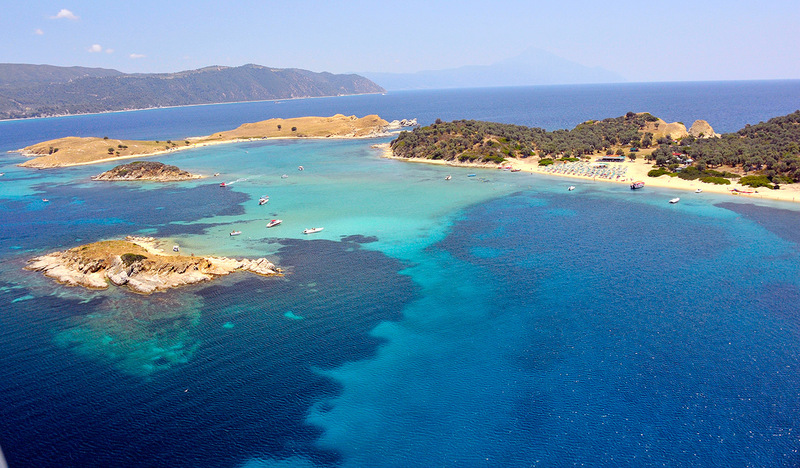 Each with spacious room and spectacular view of the sea and the islands Drenia. 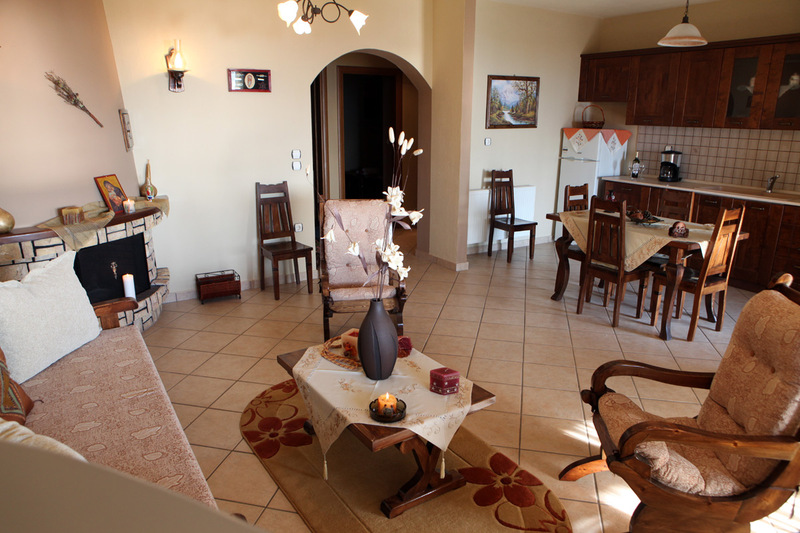 Each apartment consists of 2 large bedrooms with central heating, TV, access to a beautiful garden overlooking the mountain, living room with TV, fireplace, air conditioning, comfortable chairs and sofa, 1 large Italian design kitchen fully equipped with fridge, stove with ceramic hob, toaster, kettle and crockery cupboards of all kinds. The bathroom has a bathtub and terraces leaves you speechless with their comfort.They have barbeques for gourmets and a large dining room to enjoy food or drink having spectacular sea or mountain view. 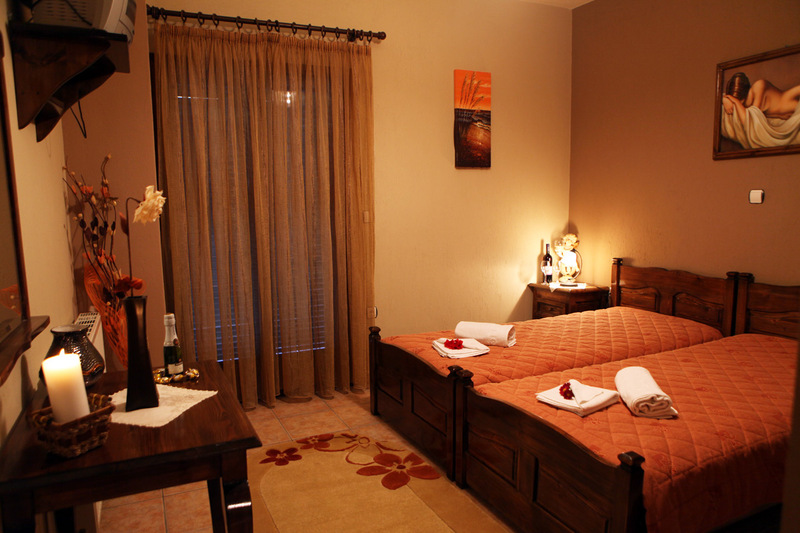 Luxury and comfort await you at "DIONNE."